COPD patient education is extremely important for those that are suffering from this pernicious disease. COPD is a progressive condition that affects the lungs and makes breathing difficult. The disease is a result of active or passive smoking. There are a number of components of this disease including wheezing, bronchospasms, and difficulty breathing even with slight exertion. The disease may consists of two separate components. There are both chronic bronchitis, and emphysema. Sufferers of the COPD may have one or both conditions. The disease although never cured, can be brought somewhat under control with the use of proper medications and treatments. One who has COPD must learn the importance of caring for their themselves, and what symptoms to watch for in order to prolong their life as long as possible. Since the research on COPD is always changing, it benefits the individual patient to learn all they can about the disease and take the steps according to research, that will most benefit them. There are new and innovative methods coming out all of the time to benefit those that suffer from this disease. This is a disease that is often ultimately terminal, but those that find the proper treatment can extend their lifepan by decades. New drugs are always coming out to treat this illness. Obviously, a COPD patient needs to check with their PCP and or lung specialist to find out if the drug is going to be right for them and their condition. The primary goal of all of these medications is to widen the airways, and prevent broncho spasms and wheezing which will prevent the patient from being able to breathe normally. Most of the patients who suffer from COPD will take a variety of medications with the goal of making breathing easier. There are many sources of education for patients that suffer from this disease. The National Institutes of Health have several pages of information on this disease. They also have references for patients that have suffered from this condition. They will explain the basics of the disease and the steps that need to be taken to keep the disease under control, as well as steps to be taken for proper management. In terms of COPD patient education one should probably get most of their information from their physician, however, there are a number of sources where the patient can find information, including well known resources like Web MD, and also the drug companies themselves. They frequently have patient information portals where the individual can find out all they need to know about the disease, and the side effects of the particular treatment methods they are using. This is simply a good way to find out all the effects of the drugs prescribed. These would go beyond the informative literature delivered from the pharmacy. 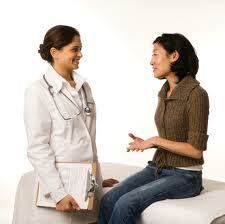 The more the patient knows about their condition the easier it will be to manage. They can take the steps that are right for them in terms of self care so the disease will be less likely to hasten their death. Not all of the drugs are right for every patient so reading about them in advance is a good and helpful thing to do. Those who have COPD should take advantage of all the material that is out there to make themselves as knowledgeable about the disease as posible. They can then make decisions in consultations with their physician about which medications wil be the best for them and their particular condition, whether it be emphyesma, chronic bronchitis or both. They should consult mulitiple sources since obviously the drug information websites are going to give a positive slant to their product. They may not be completely unbiased when it comes to their particular product as part of the methods to use to help combat COPD. One can even educate themselves about COPD by looking on the internet for the terms COPD newest developments to find the newest drugs and treatment options for the disease. COPD patient education should never stop, because the more they know about the disease and its effects the more they will know about treating it, and making it a manageable condition. This is important to do for those who have this disease. Not only should patients be able to find out what their treatment options are they should also be able to find out about their insurance coverage elgibility for medicare, and emotional and side effects of the disease. It is probably a good idea for them to search out support forums for those that have the disease so they can find out what types of options are out there for those that have the condition. This will help them make the best use of the resources that are available. Signing up for websites that provide COPD patient education is another way to educate yourself about the disease and find out the types of things that will make life easier end effectively manage the symptoms. There are certainly enough resources avaialable that the person can find what they need to know, by availing themselves of many sources of information. Now that President Obama has been relected patients should educate themselves on the Affordable Care Act if they haven’t done so already. They need to know what is covered in terms of treatment. Obamacare is generally beneficial since individuals will have no healthcare ban on pre exisiting conditions and also help with the donut hole coverage that exists with many medicare policies. Those that have COPD have enough challenges without struggling with their health care company, so finding about all insurace ramificiations of the disease is certainly necessary. As one can see, there are many ramifications for COPD sufferers, that is why COPD patient education is vital. This is a disease that is progressive and often fatal,conseqently, understanding the disease. Being proactive about obtaining information, and getting symptoms under control is one of the most important aspects of to battling this disease. A patient should try to gain the upper hand when it comes to treatment. ← Previous Previous post: Is There an Ideal COPD Diet and Can It Help?